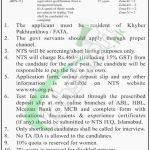 Get Public Sector Organization KPK Jobs 2017 Junior Clerk Form Download NTS from this page of our site. Latest Jobs in KPK Commissionerate Of Mines, Labour Welfare Khyber Pakhtunkhwa are announced according to which applications are invited for a public sector development department from eligible candidates having domicile of Khyber Pakhtunkhwa/FATA for the vacant post of Junior Clerk (BPS-11). There are total 10 positions are available and 02 posts for every zone. There is 10% quota is reserved for women, 2% quota is reserved for disabled persons and 3% quota is reserved for minorities. Those candidates who are willing to apply for these positions are suggested to read the requirements mentioned in the following image and after this paragraph. A speed of 30 w.p.m in typing is required. A test shall be conducted on a computer. Age of candidate should be 18 to 32 years. Applicants should apply by downloading the form along with a deposit slip from the NTS Site www.nts.org.pk or from www.jobsalert.pk. Duly filled application form along with a paid deposit slip of Rs. 460/ as test fee and a copy of CNIC and two recent passport size photographs to the NTS Headquarter Islamabad. 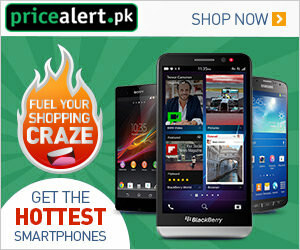 The test can fee shall be paid in any branch of ABL, MCB, Meezan Bank or HBL on the prescribed bank Challan. The last date for submission of application is September 12, 2017. Incomplete applications or received after the close of office hours on the last date for submission of application will not be entertained. Roll Number Slip shall be separately dispatched directly to the candidate by NTS at least one week before the test. For more information about candidate list and test result, please visit our site JobsAlert. pk. Last Date to Apply: September 12, 2017. Address: NTS Headquarter Plot 96, Street No. 4, Sector H-8/1, Islamabad. Which is the best Mobile Network?